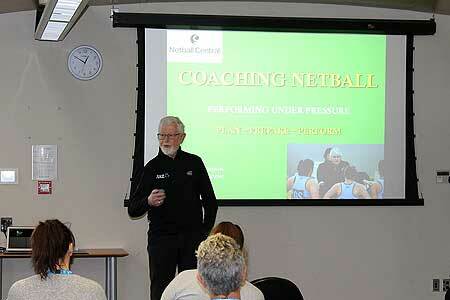 Dr Dennis Slade and colleagues from the School of Sport, Exercise and Nutrition recently helped out with Central Netball's coaching development programme. 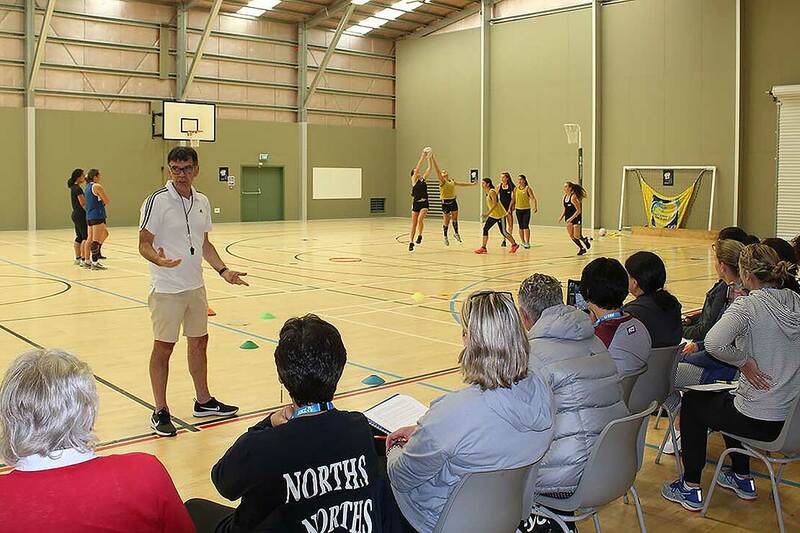 Central Netball’s coaching development programme was given a helping hand recently when three Massey academics provided insights into psychological, historical and practical aspects of netball. Two current members of the School of Sport, Exercise and Nutrition, Dr Dennis Slade and Lana McCarthy, along with former member, Emeritus Professor Gary Hermansson supported the programme held at Massey University’s Sport and Rugby Institute at the Manawatū campus last month. Professor Hermansson, who has been influential in making sport psychology an accepted and holistic part of New Zealand Commonwealth and Olympic games programmes, also provided grass roots coaches with insights into preparing players in terms of mental discipline. He shared anecdotes about how mental preparation was important in elite sport, while also providing the coaches with tools they could comfortably apply in their coaching programmes. Ms McCarthy shared the findings of her recently completed PhD thesis, Coaches, captains and constructing culture: A case study of the Silver Ferns, which explores the historical development of a winning culture in the Silver Ferns. She was overwhelmed by the interest and response she received, saying “Some of the work I had prepared I just had to let go because the discussion and questions came so thick and fast the time allocated just flew. Dr Slade delivered a practical workshop reflecting new research on how to teach players game structure within the context of games. “This is a new direction for me and one you’re unlikely to find anywhere else in the sport coaching world. Essentially, I turned netball into a computer game format. I had players locked into confined positions but as goals were scored, teams could unlock players in their team. Winning the game was measured by completing the ‘mission’ and in this instance the mission was to have a fully functioning netball team. The teaching process required teams to explain their rationale for the order in which they unlocked their team mates,” he says.